NBA commissioner Adam Silver has done everything he can to make it very clear that the NBA isn’t rigged. There’s no gray area there. 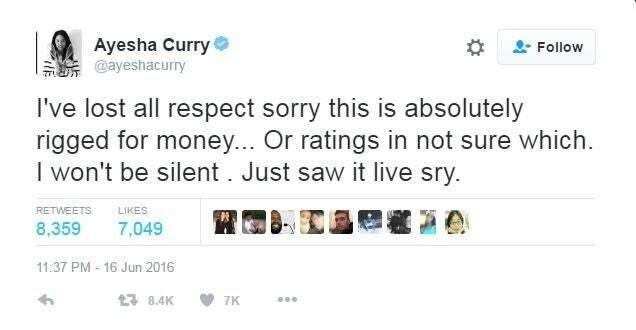 Curry was obviously displeased by Stephen Curry fouling out of Thursday’s crucial NBA Finals game, but this isn’t the way to handle that. On the other hand, we’re pretty sure that family members can’t be fined for voicing their opinions on the officials, so she should be safe. Between all this and not being able to get into the building on time, Game 6 was a pretty rough night for Ayesha Curry.